Our main objective is to deliver fact-based analysis on key drivers of the energy transition and provide a platform for discussions on technological, economic and policy aspects of the Vietnamese energy sector. We also focus on broader information and communication exchange with the public. Created in August 2018, we are the first high-level think tank in Vietnam specialised in the energy transition and climate policy, not affiliated with a ministry, university or company, and initially financed by international private foundations. Attract, hire and inspire top talent to meet the organisation's strategic goals and objectives. Oversee and manage the operations of VIET within the approved budget, ensure efficient resource utilisation. Implement VIET's strategy to ensure that it can successfully fulfil its mission into the future. Report to the Board, facilitate its strategy elaboration and monitoring, participate in raising the resources needed to achieve VIET's mission. VIET SE's Executive Director will also be the face of the think tank, responsible for defining and carrying out influential political communication towards all relevant stakeholders involved in shaping the Vietnamese energy system. 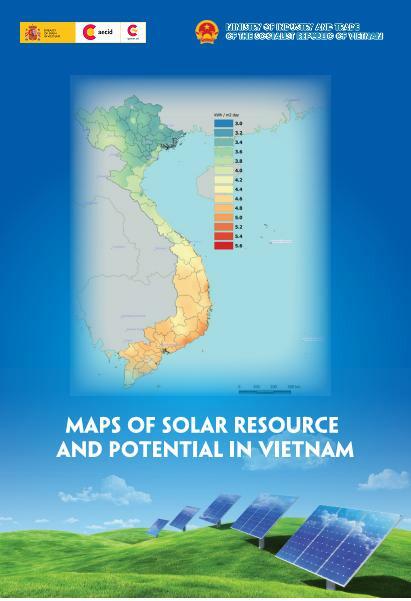 Author posts, policy notes, slideshows and other material on relevant aspects of the Vietnamese power sector transformation, based on the technical expertise developed by the think tank's team. Enhance VIET's visibility in the national and international community by working closely with other relevant organisations. Animate the think tank's strategic conversation on relevant political developments as well as drivers and barriers of the energy transformation in Vietnam. A Vietnamese intellectual with international experience. A hands-on leader, ready to contribute to day-to-day work, ready to implement management practices appropriate to the think tank. A strategic thinker and planner who can adapt to the highly dynamic political economy of energy transition. A dynamic leader who can inspire and lead a team of self-motivated, self-managed, and outcome-oriented professionals. A persuasive and convincing person that can advocate well in media and face to face. Over ten years of working experience in the energy sector led to a broad network and in-depth understanding of the Vietnamese energy sector policy making and business. Professional experience authoring policy papers and analyses and the ability to present them to high level meetings in both English and Vietnamese. Ability to travel, work under pressure and independently as well as part of a multidisciplinary team. An opportunity to work in a highly motivated team of problem solvers with extensive technical, consulting and policy experience. Very good prospect for attracting additional funding to develop the organisation, with several cooperation opportunities in the framework of international projects already arrived. Contacts and relationships with a broad international network of partners and experts. The position is based in Hanoi. Term of contract is 24 months full time, with a possible extension depending on results. The position is available immediately. The selection process is competitive. Shortlisted candidates will get opportunities to meet with the team before pitching their vision to the Board. Committed to contribute to the fight against climate change and passionate about renewable energy, do you recognize yourself in our mission statement? Do you share our team's values: policy-relevance – timeliness – rigor – independence – clarity – reputation?